One of the University of Guelph’s founding presidents, the Hon. William “Bill” Winegard, died Thursday night at the age of 94. “Bill Winegard played a pivotal role in helping U of G become the institution that it is today,” said U of G president Franco Vaccarino. The University will hold a celebration of life service at a later date; more details will be forthcoming. The University’s flags will be lowered in his honour on the day of the celebration. Do you have a memory of Bill Winegard that you want to share? Post a comment on the University’s Facebook page. Winegard had a varied and influential career as an educator, administrator, engineer, scientist and federal politician. He served as U of G’s second president and vice-chancellor from 1967 to 1975. Winegard came to U of G three years after its founding in 1964. He played a pivotal role in converting an agricultural, veterinary sciences and home economics institution into a comprehensive university, including expansion of the humanities and social sciences. He also reorganized the college structure, gave students an official voice on governing policies and opened Senate meetings to the public. After retiring from academia and U of G, Winegard entered federal politics. As a Member of Parliament for Guelph, he served as parliamentary secretary to the minister of international trade, and was the minister of state (science and technology) and Canada’s first minister for science. Before joining U of G, he was assistant dean of graduate studies at the University of Toronto. 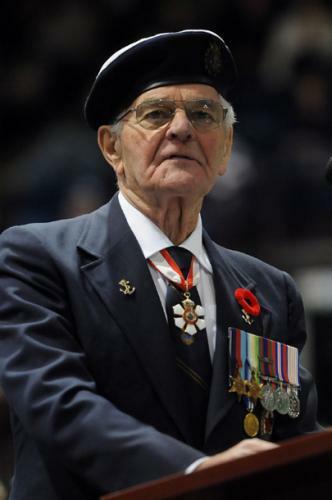 He served in the Royal Canadian Navy from 1942 to 1945 and was the youngest qualified navigating officer. Winegard is also known for his dedication to social and environmental causes and his volunteer work, including reading to children at U of G’s Child Care and Learning Centre. On campus, he has lent his name to Winegard Walk, the William Winegard Exemplary Volunteer Involvement Awards and the Winegard Medal for undergraduate achievement. He also established three annual visiting lectureships at Guelph. He was named an Officer of the Order of Canada in 1998 and received the Queen’s Diamond Jubilee Medal in 2012. U of G presented him with the Lincoln Alexander Medal of Distinguished Service and the Lincoln Alexander Outstanding Leader Award.